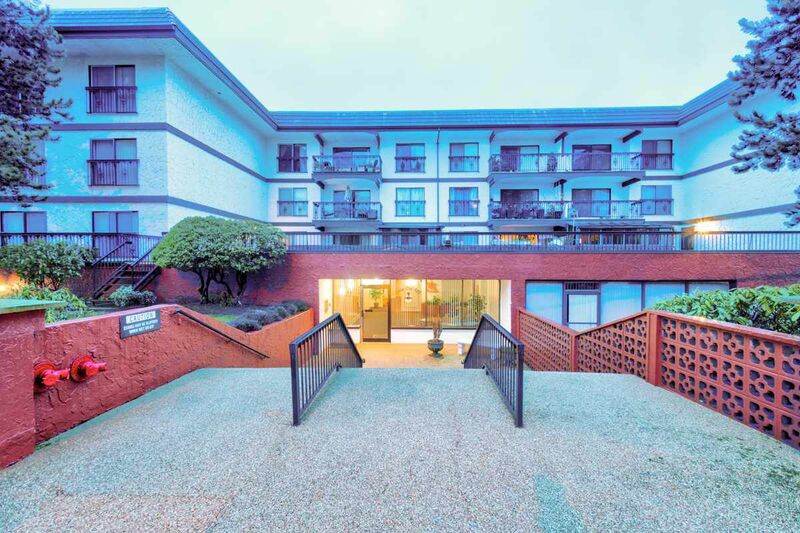 Be quick to view this very affordable, spacious two-bedroom, corner unit. This high street location is steps from all the Uptown amenities: shopping, restaurants, library, Century House, transit. This quiet location is perfect for a first-time buyer or down-sizer. This adult orientated building is perfect for someone wanting to design and decorate their own space. Cozy gas fireplace and enclosed patio (not included in finished sq. ft.) offers year round enjoyment. This building is well managed and maintained, no rentals, no dogs, one cat allowed. Age restriction 19+ years. One parking stall and storage locker. This is not a ground floor unit!